Anti-inflammatory. Anti-oxidative. Anti-microbial. These are just some of the terms used by health experts around the world to describe high quality spices and herbs. 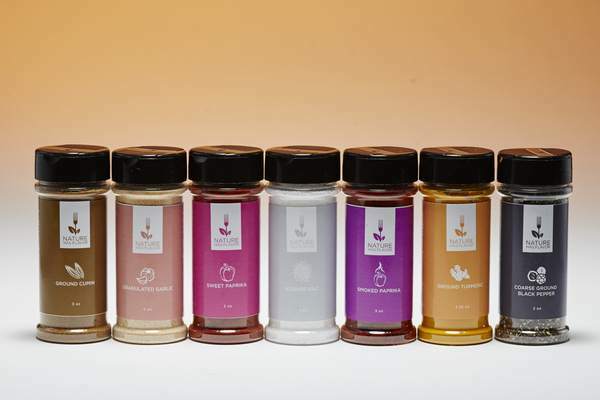 To put it simply, the right seasonings can be tremendous tools in helping you become healthier. For thousands of years, cultures around the world have used spices and herbs as health-promoting and even medicinal agents. Turmeric, chili powder, black pepper, paprika, and ground celery are just some of the pantry items that have been lauded by doctors and nutritionists alike as powerful natural substances that can aid our bodies in countless ways. With all of the health benefits we gain from the flowers, fruits, onions, and other plants used to derive seasonings, it seems obvious that we would want to include them in our diet. But many people lack the chef’s touch needed to harness these spices and herbs’ robust flavors. Too much, and your seasonings will overpower your food. Too little, and you’ll experience bland meals that may even short you of the health benefits you’re looking for. With this knowledge, Chef Meller believed that everyday women and men would develop the cooking skills needed to unlock the full potential of plant-based foods. Nature Has Flavor: Cooking Your Way to a Healthier Life is the first step of Nature Has Flavor’s long-term mission to turn kitchens around the world into culinary playgrounds for plant-based goodness. With 63 mouthwatering plant-based recipes, cooking tips, and nutrition information, the book is the perfect guide for those new to healthy cooking or the plant-based lifestyle. If you’ve ever struggled with herb combinations or spice proportions, this book is your answer to perfecting your recipes every time you cook. What’s more, Nature Has Flavor has searched the world for high-quality distributors of select spices, herbs, vinegars, and oils, ensuring you’re getting the absolute best quality tools for your plant-based cooking journey. Now, you don’t have to break the bank and search high and low for a high-quality extra virgin olive oil from Italy. Nature Has Flavor has done the hard work for you, sourcing incredible cooking ingredients from around the world and making them available to the public at affordable prices. And if you’re looking to take your plant-based cooking skills to the next level, our cooking and lifestyle seminars, which debut January 15th in Manhattan, will give you a chance to see (and taste) superior plant-based cooking up close and personal. Click here to see all we have in store for what will undoubtedly be a life-changing day. Don’t miss out on the endless health wonders of spices and herbs because of a lack of basic cooking skills. Nature Has Flavor is here to help you become your own plant-based chef, allowing you to feel great while enjoying every bite.